Today’s recipe has actually been waiting to be released for quite some time now. I made a big whoopsie on this one! After making a batch for testing, I threw away my only copy of the recipe. I thought that I had copied it over to our blog already and thought I wouldn’t need the paper copy anymore. I got on the computer to start typing and realized the recipe wasn’t in this post where I thought I had put it, and the shred bucket had already been shredded. Dang it! I chose a few oils and extracts that are known for being amazing on hair. Come join me in the blog kitchen to make this awesome hair treatment! This recipe is going to be one of the easiest ones you have made. All that is needed to do is to weigh all of the ingredients then mix them together. Easy-peasy, lemon-squeezy! If you want to add a fragrance, feel free to use your favorite scents! I highly recommend using a light usage rate of 0.25%. You can use the Bath or Body Oil product type on our Fragrance Calculator for your amount calculations if you would like. Usage Notes: If you have never used a Hot Oil Hair Treatment let me tell you how one is normally used. 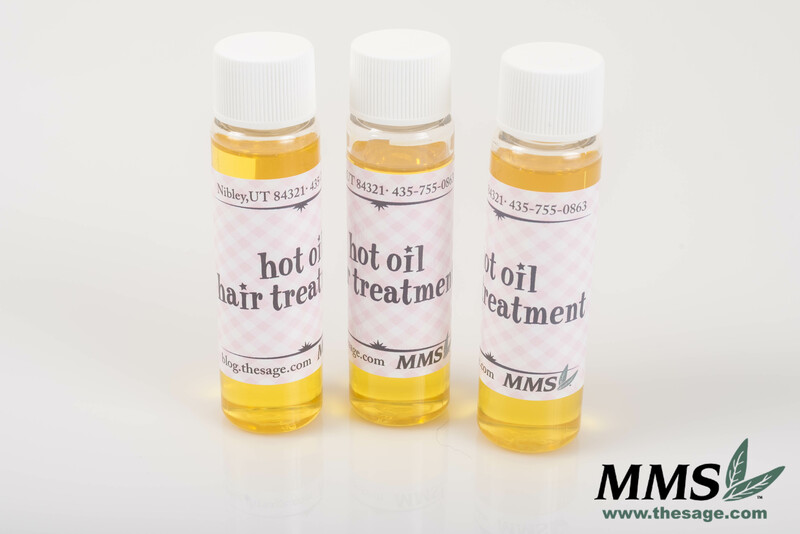 The best time to apply this Hot Oil Hair Treatment is after washing for the maximum benefits. In my reading about similar treatments online, I learned that many people think the best time to apply is before washing. However, if the treatment is applied before washing your hair, the oil, dirt, and hair product build up will prevent the hair from getting the most from a hot oil treatment. The general consensus is that a hot oil hair treatment is best applied to wet hair, but some people still prefer to start with dry hair. So, go ahead and wash your hair first! Before I wash my hair, I like to fill a coffee mug with hot water and put my bottle of Hot Oil into the coffee mug to allow the oils to warm. After washing my hair, I put a small amount of the oil into the palm of my hand and I start to massage it into my scalp and the hair close to the roots. Gradually, I’ll add more oil and coat all of my wet hair. 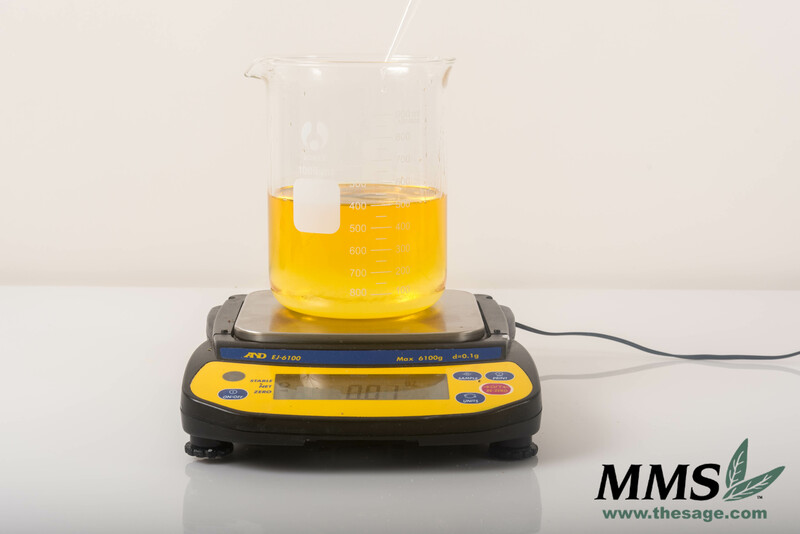 Your hair doesn’t have to drip oil, just a light to moderate coating is all that is needed. The amount of the Hot Oil Hair Treatment that you will need will depend on your hair type and length. Take your time to massage the oil into your hair and once you are finished, cover your hair with a shower cap, plastic wrap, or plastic bag. Now you can wrap a towel around your head. I’ve seen lots of recommendations for using a towel that has been warmed in the dryer or with hot water. Let the oil treatment sit in the hair for 10 minutes up to 2 hours. This is the time where I like to spoil myself with new nail polish, a good book, or an episode of whatever show I’m currently watching. The next step is to rinse out the oil treatment with a tiny amount of shampoo or soap and then condition the hair if you would like. For the best feel, let your hair air dry or almost completely air dry before using any heated hair tools. Once your hair has completely dried, it should feel moisturized and super soft! If the tips of your hair are feeling frizzy and unruly, add a couple drops to your palm and massage into the tips of your hair after washing and any time you style your hair. If you see a bunch of split ends, then it is time for a haircut! What do you think? Would you try this recipe to pamper yourself? Tell me about your favorite way to pamper yourself in the comments below! I am a twenty something goofy, cat-loving, outdoor enthusiast. I enjoy gardening, fishing, and camping. A few of my favorite fragrances are Juicy Pear, Love Spell, and Jacob. I can't lie, I am a bit of a newbie in the soap making world but I am ready to learn and so excited! It is great! I would once see these hot oil treatments in the stores everywhere, not any more. I still think they are better than sliced bread when it comes to long hair or hair that just can’t relax without some heavy conditioning.